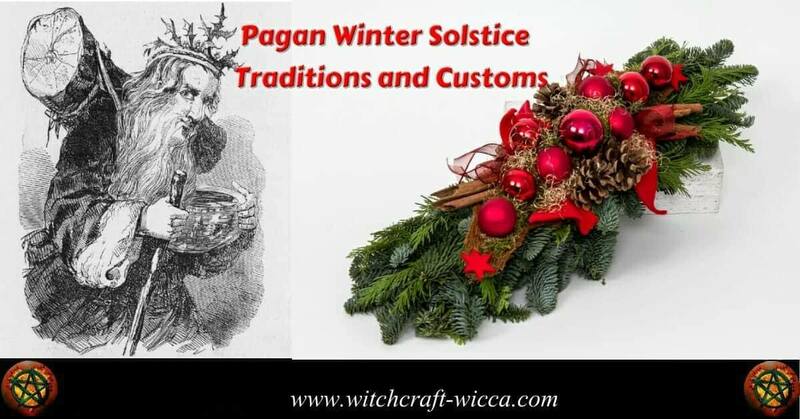 Many Pagan winter solstice traditions and customs created around Yule are identified with Christmas today. You are following some of these old solstice traditions when you decorate your home with a Yule tree, holly or candles. Pagan winter solstice traditions of Yule are decorating the Yule tree, burning the Yule log, exchanging of presents, kissing under the mistletoe, or caroling. Hold a feast, get together with those people that you admire and have some great food. Now we can go to the market and buy everything, and it’s a lot easier than some years ago. Just take a minute to remember the olden days, when we had to hunt for food. Remember, that things got rough for people who lived out in the wilderness during the winter. If they didn’t get a good catch during the fall, they would be hungry throughout the winter. So, give blessings for this food that you’re able to feast on and make sure you do share something with the less fortunate. In Poland the ancient December solstice observance prior to Christianity involved people showing forgiveness and sharing food. It was a tradition that can still be seen in what is known as Gody. Share and give back to your community. You have been blessed with warm clothes on your back and a roof over your head this past year. Now it’s time to pass that magic forward and bless someone else in their own life. Donate your time or belongings that you no longer need to someone else, who might need it and appreciate it. Spend time during the season to brighten someone else’s day and share your light with them. The energy is unusually high at this time of the year. Yule holiday is a season of magic, so embrace it and empower your life with it. Taking the smells the sights, the sounds and the smiles of everyone all around you. The holiday cheer is beautiful. If we can’t live in a world that’s like this all the time, just take a moment to absorb this. Look around with the people smiling and laughing and being together. Winter solstice traditions and customs are beautiful and behold hope. Previous Post Wiccan Yule Decorations & Winter Solstice Altar Next Post Will the Power of Your Subconscious Mind Better Your Life?